Many people, as they awaken, experience a feeling of “coming home.” Remembering you are One with the Divine is Home. Opening your heart to the Infinite Love of God is Home. Remembering the Divine Wisdom within and around you is Home. Awakening can start simply with the call to awaken. 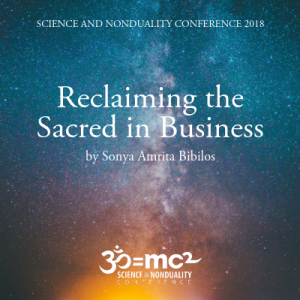 Awakening might expand gradually, or it might include big bangs of insight and bliss. 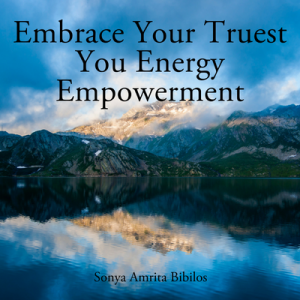 Once awaken begins, it catalyzes a new process – the call for everything within you to return home. A curious paradox is that an awakening experience can feel total and complete in and of itself, and simultaneously there can be parts of you that don’t fully receive the experience. These parts need to integrate the Oneness, bliss, peace, Love, and Consciousness – and this can take time. 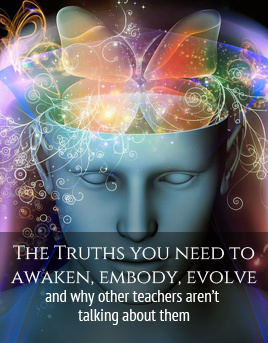 In the integration process, often students and clients come to me because more unresolved wounds, emotions, or challenges come up or get triggered after awakening. This is normal, and the explanation is actually pretty simple; every part of you wants to be home. And those parts don’t have any other way to get your attention but to speak their language, i.e. I’m hurt, I’m scared/angry/depressed, I feel alone/abandoned, I feel like I don’t belong here, etc. Or the body might react with new symptoms or struggles, because it too wants to feel like it is 100% home in Divine Consciousness. When these parts call out to you, it is helpful to take it as an invitation. How do these parts want to return home to Light, Love, and Consciousness? You can inquire: How can I support them to come home? How can I bring them the messages and love they need? Or you can take a different path of inquiry that supports you to upgrade your habits and behaviors to be in greater alignment with Oneness. For example, you can ask: How does my relationship to self (or body, work, relationships, abundance, etc.) 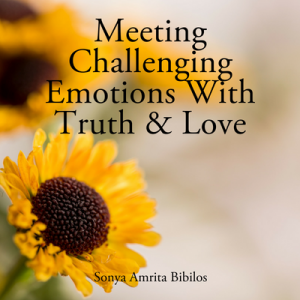 need an upgrade into greater Truth, Love, and Wisdom? For many of my clients, on the other side of healing these parts, they experience a greater abiding sense of peace, grace, and love. Then that greater sense of peace might reveal deeper levels of conditioning that want to come home! In one hand, you hold your wounded/challenged part that wants to come home. In the other hand, you simultaneously hold the Awakened Wisdom, Consciousness and Love within you. This Wisdom is available in you always, no matter how awake you may feel. Then you can witness, meet, love, and heal the wounded part from that wisest awake part of you. The tool of Simultaneous Awareness can be a bridge between the part that is very awake and the parts that don’t feel awake yet at all! And the very act of having Simultaneous Awareness affirms that indeed all is One – nothing is separate, forsaken, or forgotten. Everything is welcomed here in this life! To continue the journey of welcoming all of you home, please take advantage of these resources: 1. 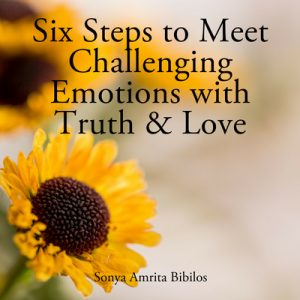 A free e-book, “Six Steps to Meet Challenging Emotions With Truth and Love”, and 2. 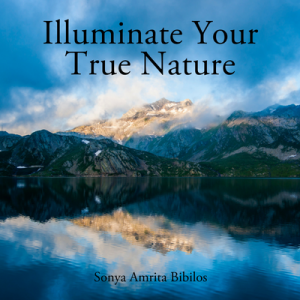 “Illuminate Your True Nature” audio recording.